The world of online learning is rapidly growing as more people begin to take advantage of the opportunities to learn wherever and whenever they want. At Udemy, you can find over 35,000 courses on just about every topic you can imagine, from design and music, to fitness, business, and everything in between. Entrepreneurship is one of the most sought-after categories in online learning. After all, the dream of being your own boss and running the show is appealing to a lot of people, including those who didn't originally intend to start their own companies. But getting a business started is very different from actually building and promoting a unique brand that will succeed. If you actually want to achieve your dream of getting into a fulfilling career doing something you love for yourself, Udemy has the perfect course. 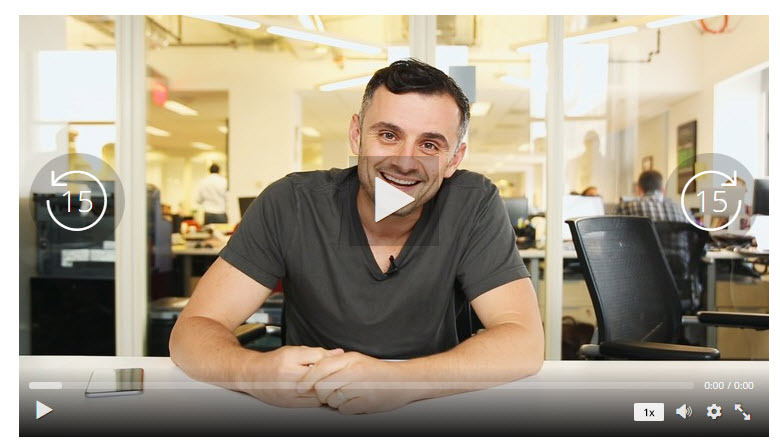 Enter Gary Vaynerchuk, an Internet personality, public speaker, author, and entrepreneur. His Udemy course, Building a Personal Brand, is one of the top ways to learn how to become a thought leader in your niche and build your own brand in a digital world that's extremely competitive and always changing. That's why this course is so important: it teaches you how to take your passion and drive, combine them with hard work and business savvy, and actually become the professional you've always wanted to be. After all, you don't want to just do what you love; you also want to make money doing what you love. Reviewers also thoroughly enjoy Gary's personality and teaching style, as he keeps you engaged and entertained throughout every valuable lecture. Gary Vaynerchuk's Building a Personal Brand is normally priced at $99, but you can snag it today for just $10 (that's an incredible 90% off)! This offer is only good for January 11th, 2016. There is no better time than right now to invest in your future with one of the most successful names in the world of business, media, and entrepreneurship. Gain access to Gary's tips, and join a vibrant online community of learners who gladly support one another. The great thing about learning online is the fact that you can do it all on your own time and at your own pace. Take this course as quickly or as slowly as you wish, and return to the materials at anytime, as you'll have lifetime access to them. You'd have a really challenging time finding a similar course at this price online. Gary's insights have already helped so many students clear the path towards their dream career, and now you can do the same for a minimal investment of your money and time.